John Racener (born December 16, 1985), who goes by the moniker “$JMONEY$” to many in the online poker world, is an American poker professional from Tampa, Florida, best known as the runner-up of the Main Event at the 2010 World Series of Poker (WSOP). The longtime online poker player’s signature scores include a third place showing in the Full Tilt $750,000 Guaranteed in April 2009 for $54,000 and a win in the PokerStars $500,000 Guaranteed. 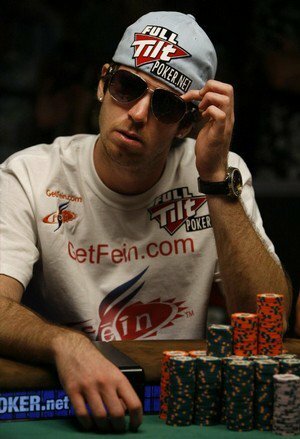 As of 2010, his live tournament winnings exceed $5,600,000, the vast majority of which comes from his $5.5 million second place prize at the 2010 Main Event.